Features: these are all the features listed on the website. She does a stunning 49 different stitches (including buttonholes etc). That means this sewing machine goes backwards and does zigzag stitches too – pretty exciting when you compare it to my grandma’s sewing machine which I had been using until now! You can also sew button holes and shapes like flowers. Things i don’t like about this machine: some may call this puppy love but I can’t think of anything I don’t like about my sewing machine. It’s kinda like that Moldy Peaches song Anyone But You. Do you have a great name for your sewing machine? hi, where did you buy your machine please? I can’t find it at $500… Thanks! Hi Cecile, I bought it from sewing machine world in onehunga. Sorry for the late reply! Hi Trin, I still love my janome. I haven’t had a problem with it at all so far. With knits I find it’s mostly fine but it can be a bit dodgy if I’m not paying close enough attention! But then I’m quite new to sewing knits so there might be something obvious that I don’t know about in that! I named my first real (non-hand-me-down) sewing machine after my high school home-ec teacher, Miss Emmie. I knew how to sew before I took her classes, but she taught me to love it. If you don’t have a name yet(though I’m sure you probably do) is there someone like that you could name your machine after? I’ll just have to throw in my two cents – even though you probably have decided on a name by now! How about Gertie? 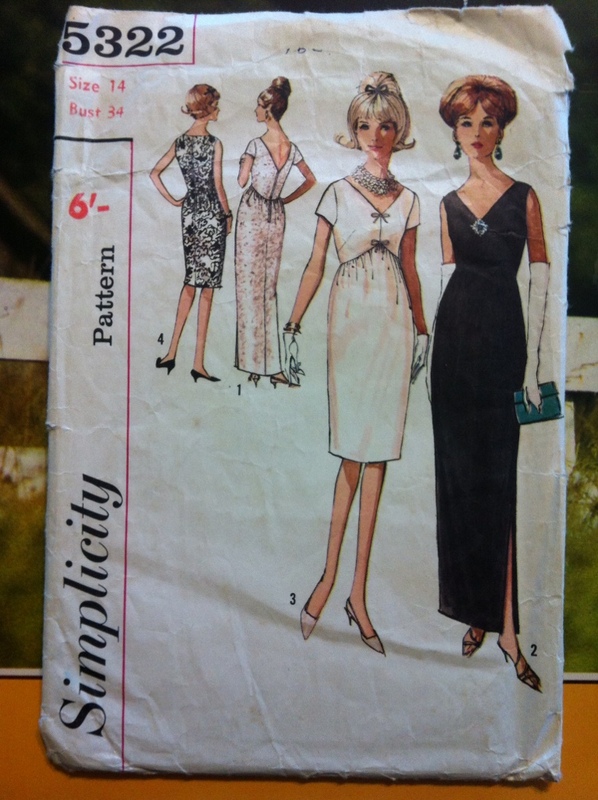 Haven’t done any sewing in about five years – but never say never! I think that’s so fabulous you’re so excited, I would be too. I don’t have a name for mine, it’s really a plain Jane..mmm maybe I’ll call her Jane for short. Yours maybe “Gidget” as in ‘new gadget but for girls”…plus Gidget was played by sweet and wholesome Sally Fields back in the 60’s and the 60’s were definitely cool, I remember, I was there. GREAT MACHINE!!! LOOKS and SOUNDS AWESOOOME! Thank you! I’m so pleased with her too! 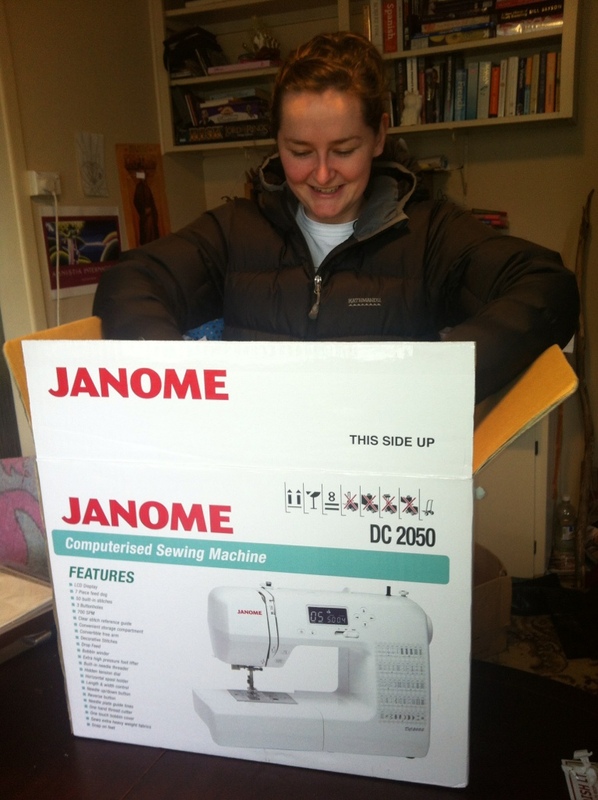 How about Janice– Jan- (janome) nice? I think Delilah, or Lily. We got a new one fairly recently – it was so much fun working out exactly what could be done with it. Have fun! New sewing machines are really amazing! I so impressed with everything this one can do. Thanks a lot for posting this! She sounds amazing, I must purchase one. This first name that came to mind was Dimpsy, as she’d make holes in your garments when she sews. I hope you find it to be as good as I do! I think Edie is a lovely old fashioned name. I think of my machine as Neenes. v.dull she is a Bernina. Neenes is a delightful name! sweet! 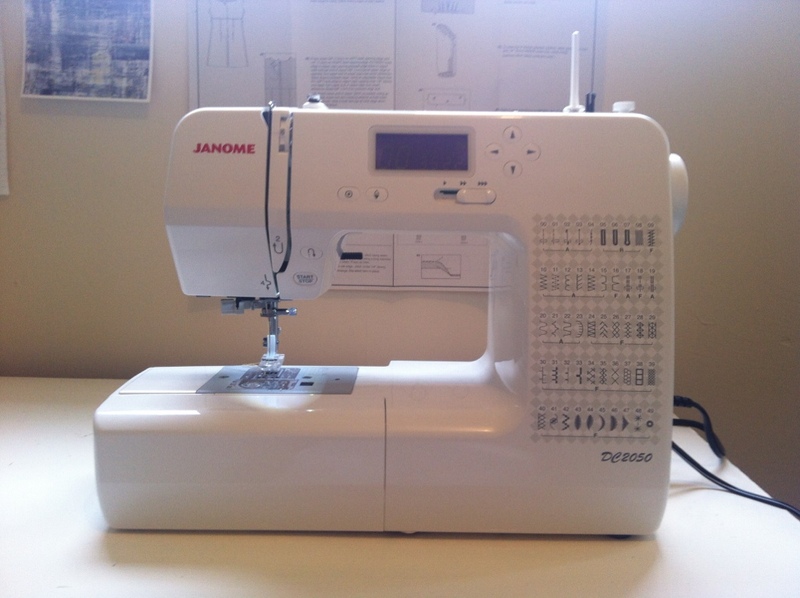 I got a mechanical Janome earlier this year, and I’m quite in love as well. I named her Holly because she’s a heavy duty machine, and my mom had a Belgian horse (heavy duty workhorse) named Holly, plus my mom’s best friend who was my first sewing teacher was also Holly. Holly seemed like the perfect fit. Im glad someone understands the puppy love phase! Holly is a great name for a sewing machine and it sounds like it has a lot of significance for you which, I think, makes it even better. So are you feeling a particular name vibe from her? Are all machines ‘hers’ like boats? She looks quite lovely! Haha, I mean ‘her’ affectionately lol. I’m quite keen on an old fashioned name like Betty or Mavis but I’m open to suggestions! Previous Previous post: Giveaway Winners AND NEW SEWING MACHINE!! !